Bushnell Phantom GPS rangefinder review 2018: you won't get anything better for under £100. 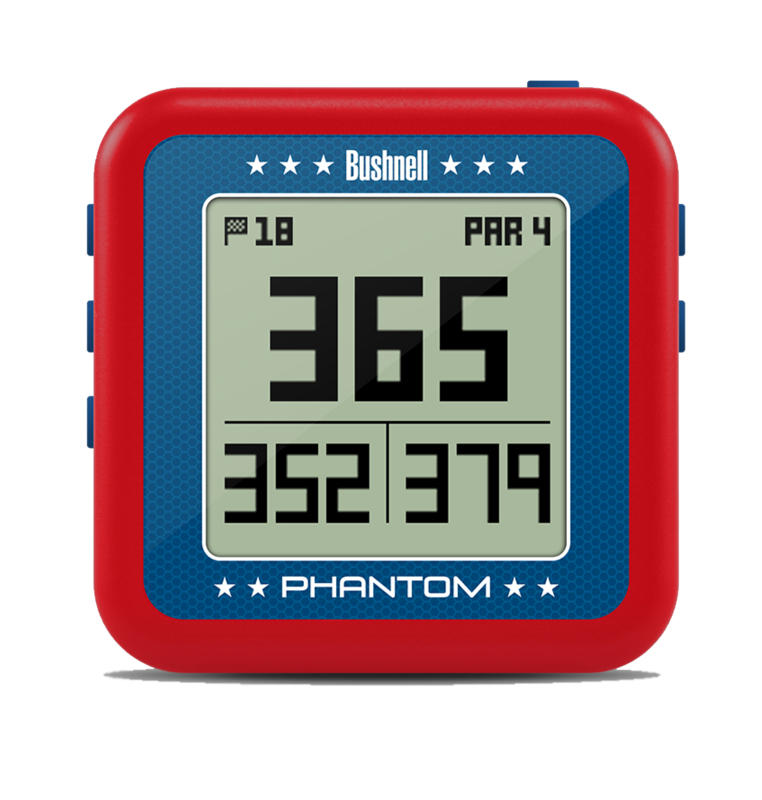 The Bushnell Phantom is designed for those that want a stripped back, no frills GPS rangefinder. And by purely doing the basics, the brand are able to pitch this product at under £100, which puts it into a very attractive and sparse price bracket. Very simple and effective. There’s a bunch of colours you can choose from, and even a 2018 Ryder Cup design. Preloaded with more than 36,000 courses, the Phantom gives just the front middle and back. It’s as accurate as any other GPS device out there, and gets the digits up quickly. Golfers can also see up to four hazard distances to boot. There’s a magnetic backing added in 2018, allowing players to attach this to their belt or anything metal - like the frame of a golf cart. It’s strong and didn’t fall off despite some aggresive cart driving. When attached to your belt you can whip a yardage from the hip rather than having to mess about opening golf bags/cases. There’s also a new bluetooth addition, which syncs with the Bushnell app allowing users to make course updates if needed through their phone. The battery is decent, allowing for roughly two rounds of use. An excellent budget option. Accurate yardages, and the magnetic back is an excellent addition. Head to the Bushnell website for more.